To be released to honor spring, the Aventurera album symbolizes rebirth. It calls to the adventurer in each one of us to go beyond what we know, reach into the unknown, challenge ourselves to grow. 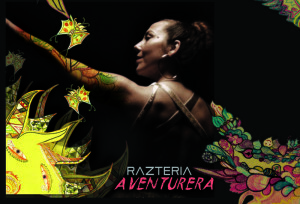 It is woven into a concept with each song being part of the “Aventurera’s” story, “the adventurer”, is each one of us, in one or another of our forms. 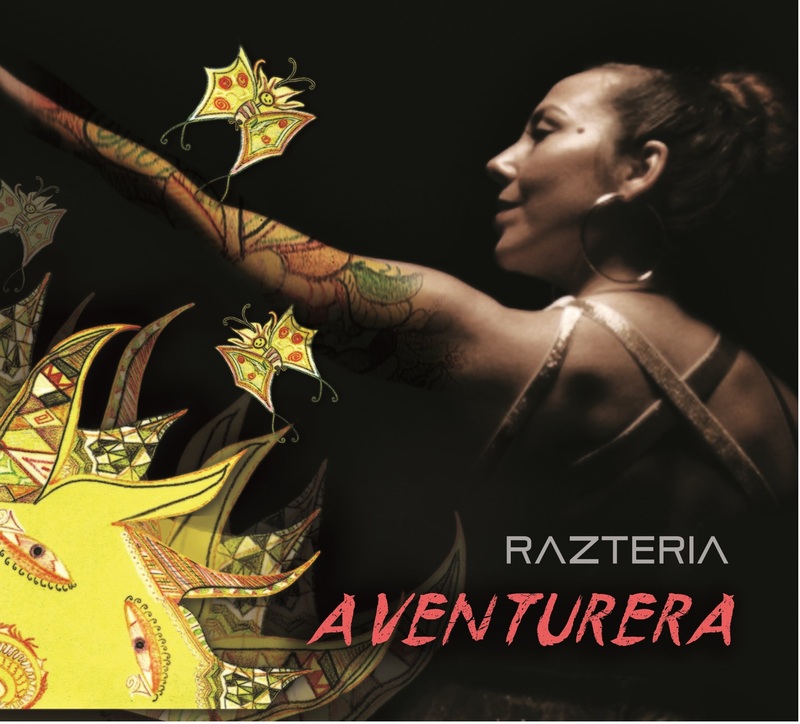 It’s the Aventurera who goes beyond the Known (the Zone) and is able to grasp, and be thankful for, the beauty of the unknown: the changes and challenges of Life. In a very personal way I am reinventing myself by branching out musically, releasing memories and life lessons to myself. I believe that there is something on this album that you will be able to make your own and relate to in the messages embedded into the soundscapes of these songs. This album is groundbreaking in its richness, representing the synergy of collaborations with talented independent San Francisco Bay area artists and beyond. Album artists include: Sang Matiz on title track Aventurera, Rahman Jamaal (Change, Once Again), Carolyn Smith (Zone, Can’t Touch), Chatterbox (Take my hand), Seneca (Take my hand), as well as musicians from the Fyah Squad Band (Waddell Bell, Lou Neuburger, Little Sister, Life), Raliegh Neal (keys, Little Sister, Life), Jayme Arredondo (drums, Aventurera, Once Again, Take my hand, Zone), Anthony Ant (trumpet, Once Again, The World, Thankful, Can’t Touch), Dave Eagle (percussion, Life, Take my hand, Thankful, The World, Winds, Can’t Touch), Joe Newton (drums, Winds, Can’t Touch) and Luke Thomas (guitar, Little Sister, Life). All lyrics, music, production, arrangement, recording and edition by Renee Asteria/Razteria (RA) at Truffula Oak Studio (El Sobrante, CA) unless otherwise noted. Mixed by James Ward & RA (Live Oak Studio) unless otherwise noted. Mastered by Justin Weiss (TrakWorx). Vocals (RA), guitar (LT), synthesizer/piano (RN), bass (WB), drums/percussion (LN). Mix by Kinyama Sounds (Nicolas Duboux).